I’m on a bit of a waste-not kick of late. I don’t know whether it’s the lack of money in my bank account (I’ve yet to be paid for a single job I have done since going freelance at the end of March) or the cost of compost for my veggie garden that has done it, but I’m suddenly aware of every single thing we throw away. 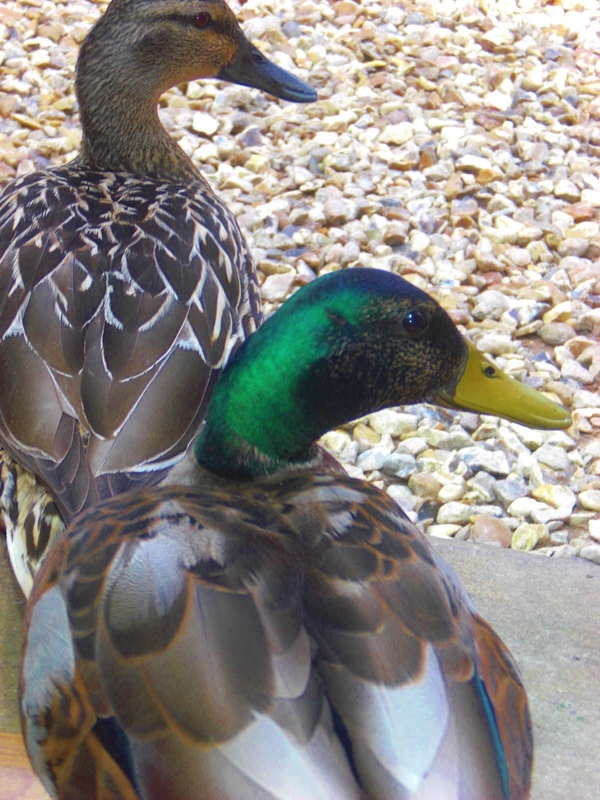 I’ve started a Bokashi composting system (these guys are good, if you’re interested), so I can finally compost my leftovers, post-stock bones, and the various other food bits that can’t go into the regular compost bin or out to feed the friendly ducks that seem to have adopted us. Everything we throw away is subject to the three Qus before it hits the rubbish bin: can it be re-used? IF NOT, can if be upcycled? IF NOT can it be recycled? I have a sizeable collection of homemade mini-greenhouses for my seedlings next year, all neatly paired up with a plastic meat-tray for the base and a salad/stir-fry tray for the lid. And thanks to pinterest I have a supply of funnels, shovels and storage containers made from empty milk cartons. 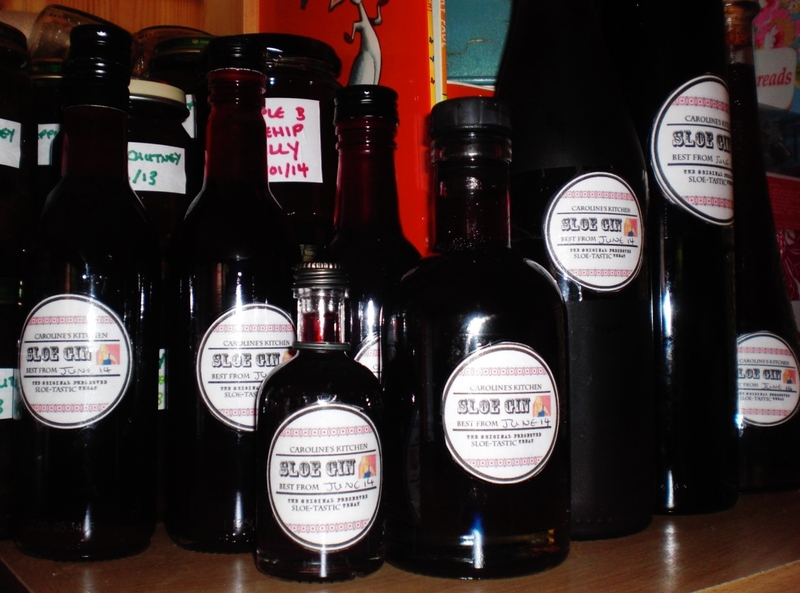 This weekend, I bottled up this year’s sloe gin. I was left with a pile of gin-soaked sloes, which I decanted into red wine to make sloe port. Before making the port, though, I removed the stones, to make the third stage of the process, sloe truffles, easier at the other end. I was left with a pile of sloe stones, and no clue what to do with them. Googling was not helpful. No-one was offering advice regarding how to use sloe stones after the gin-making process – most folk seem to just add them to the compost. But I did read that the stones themselves release a lovely almond flavour, if left to soak long enough. Which went a long way to explaining why my instincts had led me to add almond essence to this year’s sugar syrup prior to sweetening my gin. (I used this recipe this year, rather than my usual all-in recipe, which can produce a sickly sweet gin.) I decided to try something out, just to see what happens: I added the stones to a half-empty bottle of wine vinegar. As I said in my last post, if there is one thing I have learned from having twins it is just how different babies can be. Two babies, from the same parents, brought up in identical circumstances, my boys are so far apart in terms of development, personality and emotional needs, it surprises me daily. 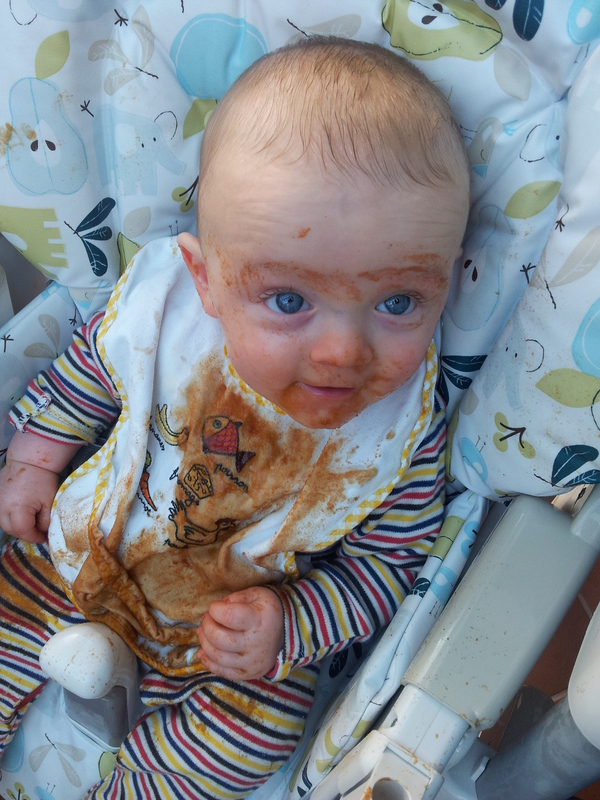 And mealtimes are no different – whilst Conall was desperate to self-feed, grabbing at the spoon and bowl from week 1, Hal is still content to sit back and let Mummy do the work to this day. Conall took to finger food quickly, whilst Hal was really only interested in squidging bits of banana between his fingers. Both boys like nothing more than to make as much mess as possible. 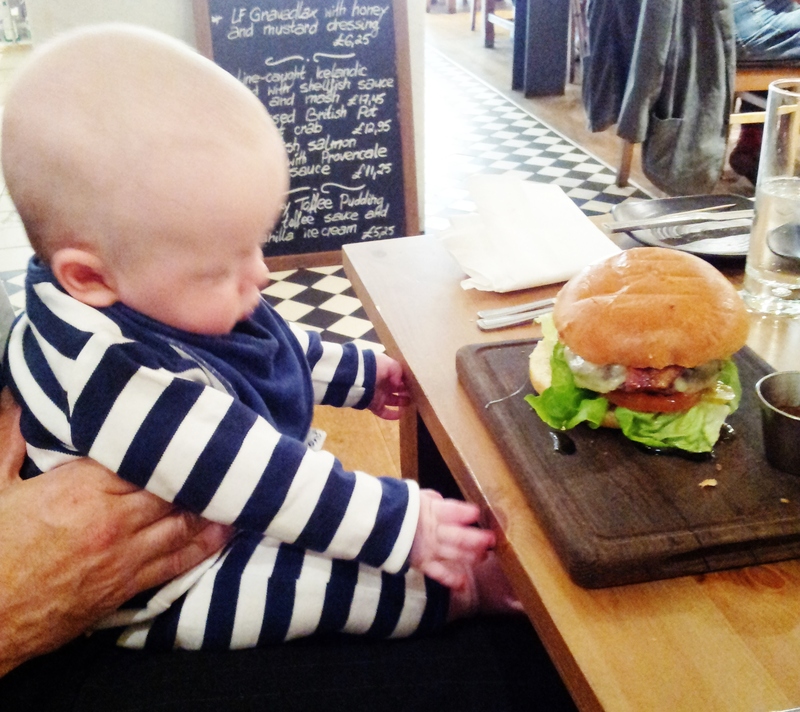 Weaning twins is a massive job, and one with which I was willing to take any help I could get. My Dad and Step-Mum had bought me Annabel Karmel’s New Complete Baby and Toddler Meal Planner before the boys were born, and I still use this regularly for reference, and for recipes. 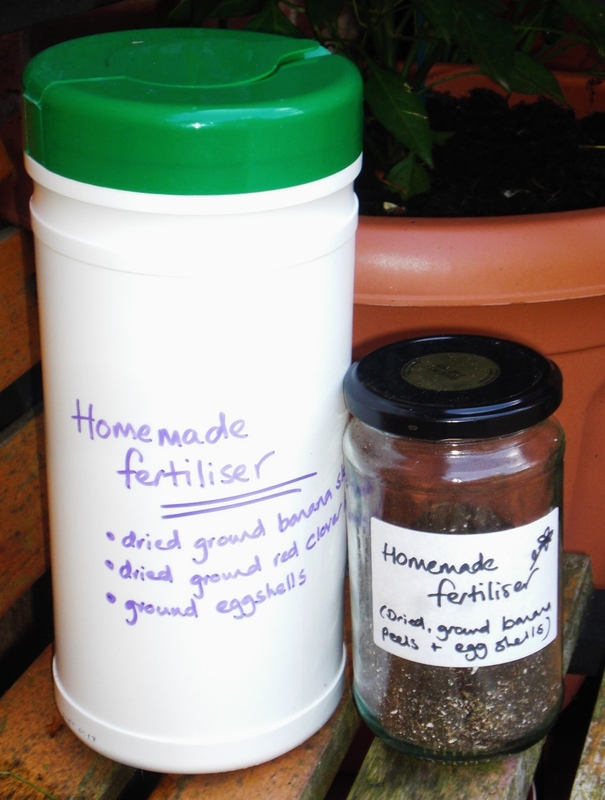 But there are many essentials without which I would really struggle – not only the store-cupboard stash of baby jars, but regular food stuffs and kitchen equipment that just make life that little simpler. Jelly moulds and leaf gelatine: I like to make my own jellies for puddings for two reasons: firstly, I can control the amount of sugar that goes in, and secondly, I can make them with pure fruit juice. I had no idea how easy it was to make your own jellies, but it’s every bit as simple as using jelly cubes – simply bring fruit juice to just below boiling point, add in four softened gelatine sheets for every pint of liquid, pour into moulds and refridgerate to set. The boys will eat pretty much any flavour, but a favourite is made with a tin of raspberries in juice: I strain the fruit and share between the moulds, then make the juice up to a pint with cranberry and raspberry juice. Add a tablespoon of caster sugar to taste (cranberry juice can be quite tart), and pour the jelly mix over the berries. Semolina: I found that for my sons, what they ate during the day had a direct impact on how well and long they slept at night. This is not true of all babies, but it was of mine. I quickly realised that a portion of baby rice pudding after their evening meal added up to a decent night’s sleep for mummy and daddy. But to buy the pre-made baby rice in jars for every evening meal was proving expensive. As soon as my boys were on dairy, I began making an alternative to rice pudding, in the form of semolina. I’d mix up a batch with milk and sweeten with fruit puree (see below), portioning it up into tupperware for the next few nights. The twins love it! Ready Brek: Courtesy of Annabel Karmel. 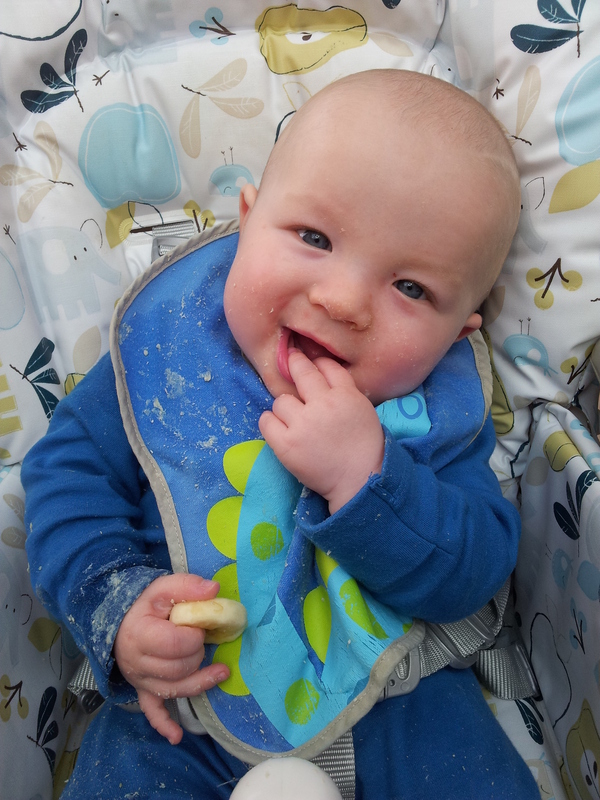 My boys were getting through a box of baby porridge every two days – which, at £2.10+ a box quickly adds up! As soon as they were old enough to be introduced to gluten I began to mix their baby porridge in with Ready Brek, increasing the quantity week by week. They now have about a third baby porridge to 2/3 Ready Brek, and it goes a lot further. As many of the baby porridges are flavoured, I sweeten this with a slug of fruit puree (see above). Frozen veg: peas and sweetcorn, fresh from the freezer, are great to throw into dishes for baby (once they’re old enough to process the husks) and packed full of goodness! See “Philly” below for a recipe using frozen or tinned sweetcorn that the twins just wolf down. Lentils: Great for stodgifying root veg dishes, my lads love lentils in their dinner. I cook mine in the bottom of a three tier steamer, with chopped carrot and sweet potato above, then blend with the veg, a tin of tomatoes and a tablespoon of yoghurt, a very little cumin and turmeric, and chunks of pineapple to make a very gentle dahl. Always a hit at dinnertime! Avocados: A godsend when I’ve run out of lunches, we started on avocados mashed with bananas when the lads were still eating mostly fruit and veg. I now blend with a pot of baby fruit from the cupboard in an emergency, with cottage cheese and pineapple from the fridge, or for a real favourite, with either poached chicken and basil leaves or poached salmon and dill. Bananas: as above, an real emergency staple. Mash one with yoghurt or rice pudding to make a filling finale to a meal. Cottage cheese & Philly: Cottage cheese, especially with pineapple, was a surprising hit with the boys from the moment they could eat dairy and forms the base to many of their lunches. Philly (other cream cheeses are available…) is fantastic for mixing with tiny pasta shapes and tomato, or in the boys’ favourite dinner, with poached and pureed chicken, sweetcorn and pasta bits. They can’t get enough of it! Natural Yoghurt: Babies need the full fat version of dairy, and I find the market leading brand of fromage frais somewhat overpoweringly flavoured. I tend to mix Greek style natural yoghurt with fresh fruit, fruit puree or smushed up jelly instead for an alternative dessert. Also good for watering down/creamy-ing up savoury dishes. Wand blender: I could use my lovely fancy Kenwood every time I needed to blend something, but it is time consuming both in terms of set-up and washing-up. My stick blender was £4.99 from Tesco, and has been used AT LEAST twice a day for 5 months solid now. If it breaks next week I will feel confident I’ve had my money’s worth! My Kenwood is great for Sunday afternoon batch cooking sessions when I’m stocking up the freezer. My Squeeze Station: I bought this from the Jojo Maman Bebe outlet and I adore how organised it lets me be. I fill the pouches with pre-mixed meals and label with my sharpie, then store in the freezer until needed. Before my working week begins, I can pull out a few meals and write on them exactly what and when they are for: “MONDAY – LUNCH”, for example. It takes the guess work out for me and my Mum/Mother-In-Law when they’re looking after the boys. It wasn’t especially cheap – I got mine for £15 in the sale, and an additional 50 pouches for £13, but then with a voucher code for another 15% off, so about £25 for the whole system plus extra pouches… but it has been worth it for the sense of control it has allowed me. Trust me, when you’re a twin-mummy, anything that allows you the semblance of control is a real luxury! On Saturday we went for another morning hike, and this time I took carrier bags with me for foraging fun. I brought back a couple of bags of ingredients, one bag full of apple mint found on the verges of wasteland, and one full of wild greens, which I made into a surprisingly delicious soup, one which I would readily serve at a dinner party, it was so incredibly moreish! I’m really new to this foraging malarky, but I have found reading around the subject an absolute necessity. The most useful book in my collection has been Alys Fowler’s The Thrifty Forager – with colour photographs and anecdotal deescriptions making plants far easier to recognise than your standard illustrated, botanical texts. I took my digital camera out with me as always, and came back with photos of various plants. I then pulled out our various reference books to check what I’d found – it’s imperative that you are picking what you think you are, as so many edible plants seem to have a near-identical poisonous twin! Besides a decent knowledge of what you’re picking, common sense seems the most important factor in foraging for food. I avoid picking anything from the roadside, as I would rather avoid potential pollution. I won’t eat watercress, no matter how lush it looks in the burn outside our house, as it picks up any pollutants in the water, and you can never tell what’s in the soils that water has run through – or what has been discarded into the water further upstream! And I avoid anything from below waist level along the tow paths, where dogs have regularly marked territory – and worse! 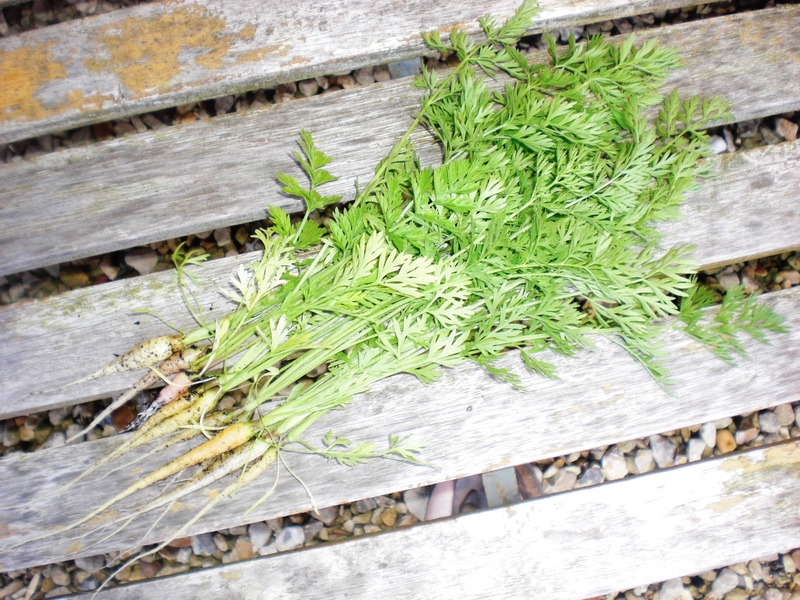 As with all foraged recipes, the quantities and leaves used must be variable according to what you can lay hands on. I was also limited to using what I had in the fridge when I got home – which on this occasion just happened to work spectacularly well! 1 carrier bag of foraged leaves – I used largely nettles – largely dead nettles – topped up with wild garlic leaves and flowers, Jack-by-the-hedge leaves and flowers, cleavers, a few dandelion leaves and a handful of slightly past its best spinach from the fridge to put it to use! Before you start you’ll need to sort and wash your greens. I removed the leaves and flowers from the tough stems, rinsed under cold water, and spread on a tea towel to dry. Larger leaves I washed individually, smaller leaves and flowers, in a colander. Make sure to discard any nibbled leaves or those with insect eggs on the underside. Begin by frying off the onion and celery in the garlic butter. If you don’t have garlic butter, add garlic once the onions and celery have softened. Do not brown, just gently soften down in their own juices. Add the diced potatoes and soften for 1-2 minutes. Add the stock, then all the greens, cover and simmer for 15-20 minutes (or until the potatoes break apart). Remove from the heat, and stir in your small tin of sweetcorn (drained). Blend until smooth (you may need to do this in batches.) Return to the pan. This is the point where tasting really comes into it. Stir in the cream over a low heat, season, then taste. The sweetcorn should temper the bitterness of the greens, but if it is not enough, try adding a teaspoon of cheap, runny honey. It won’t flavour the soup, but will lift and intensify the sweetcorn. Black pepper can really lift the flavours. You might also like to add a grating of nutmeg – nutmeg and greens LOVE one other! I also collected a considerable amount of apple mint, as mentioned above. This I divided into three piles. One pile I washed on the stalk, bunched together in groups of 3 stems with an elastic band, and hung up to dry. With the two remaining piles, I removed the leaves from the stems and washed individually, then patted dry with the tea towel. Half were placed in an airtight box in the fridge, the other half in an old take-away tub in the freezer, for crumbling into recipes later in the year. The fresh leaves make a delicious mint tea, which makes me wonder why anyone would buy mint tea in bags at this time of year! Friday night, and Dapper rushed home early so that we could nip into Knowle to do the weekly food shop. It was a glorious spring afternoon – certainly not in-keeping with the rest of the weekend, which was rainy, turning to sleet accompanied by a bitter wind on Sunday. Chocolate coconut granola, a recipe from The Vintage Tea Party. The great thing about this recipe is that it makes enough to fill a jar like this one, which I think would make a lovely Mother’s Day gift, but with a serving left over to eat yourself!! I had mine with honey yoghurt – noms! Courgette and seed muffins, made as per this baking mad recipe. As muffins go, these are pretty healthy ones, mine made with spelt flour, and containing grated courgette, pumpkin seeds, honey and oats. They make a satisfying mid-morning snack. I made half of mine in my silicone cases, and the other half in paper muffin cases – the silicone most definitely won in the taste test! I have been trying, over the last few weeks, to increase my intake of pulses and vegetables. This has meant lots of lunchtime salads with quinoa or bulgar wheat, evening meals comprising soups with a tomato, rather than roux, base, and chick peas in everything. Mostly because if there’s one thing I love it’s chick peas! This particular recipe has become something of a favourite. It’s easy to adapt to cut out any fats, and can be made more luxurious with the addition of a dollop of creme frache or cream cheese. It’s delicious served with a crusty loaf, tasty with flatbreads or perfectly filling on its own. And it’s quick and easy to prepare. Here’s my basic recipe (although it often changes slightly to accomodate whatever needs using up in the fridge…). Sweat the onions in the fat or water until softening, Add the garlic, herbs and lentils, and allow to sweat another 5 minutes, stirring to avoid burning on the base. Add the veg stock and tomatoes and bring to a boil. Reduce and simmer for approx 30 minutes. Remove from heat and blend. Add the chick peas and return to the heat to warm through. Serve with a dollop of your choice of garnish. You can also add chopped coriander if you have some lying around… But Dapper doesn’t like coriander, so we don’t! Ever since an experimental afternoon in the kitchen uncovered the simple delights of unlevened flatbread, I have been churning these babies out to go with anything from soup to saag. I have no recipe and no idea about measurements – I spoon some flour into a bowl (plain, spelt, wholemeal – whatever I’ve got in excess), add a drizzle of olive oil and then cold water, mixing with a knife until it comes together. I then roll it out thinly and cook in a very hot, dry skillet. My first is almost inevitably too thick, but still perfectly edible, and the following few are crisp, warm and satisfying. I reccomend giving it a go!